This neckware is an assemblage of different accessories found on the Miao tribal costume. The lower part of the neckware can be taken off for a different look. 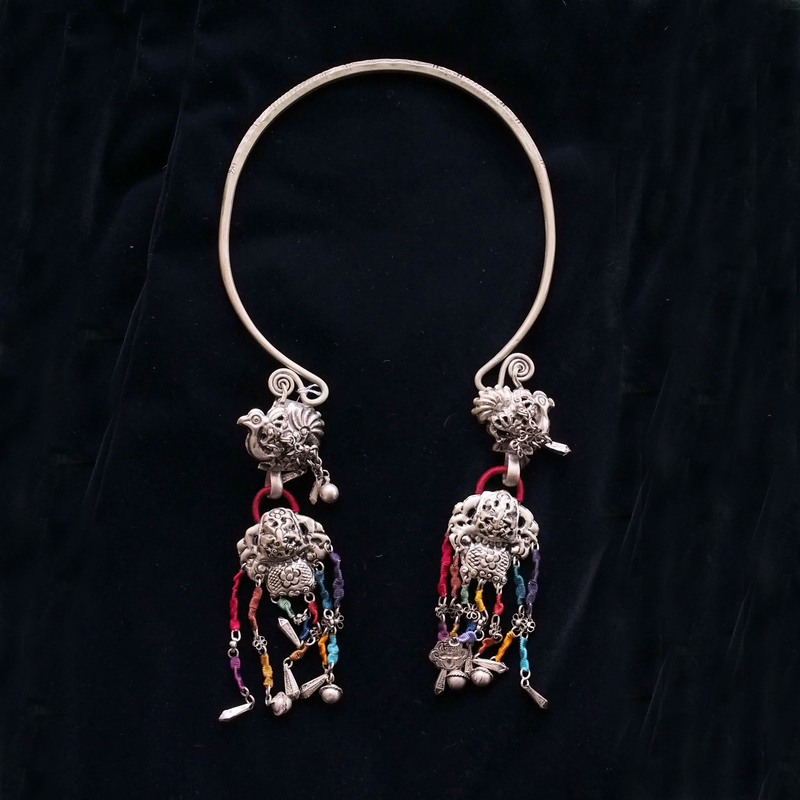 The Miao’s jewellery has always been a collector’s item. This new design made the Miao accessories more wearable with today’s fashion.